Some smaller retailers are supposedly contemplating giving up new game sales entirely, as it simply won't be worth their time. An upcoming increase in tax in the UK has retailers worried that they're going to be losing out on new games in 2011. Value Added Tax, or VAT, will increase from 17.5% to 20% on January 4th, and apparently, publishers are unwilling to move on the price they sell the games to retailers at, leaving the retailers in the position of either raise prices, or keeping them the same and cutting into their profit margins. A senior buyer for one the large retail chains said that the lack of support from publishers and platform holders had left the chain without a strategy, with just thirty days to go until the increase. Independent retailers will be hit especially hard, with some even considering abandoning the sale of new games entirely. 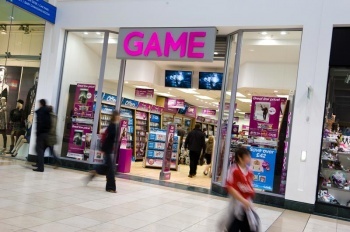 Game On managing director Matthew Brady said that unless publishers adjusted the cost price for games, there was no point in independent retailers stocking them, because the profit margins dropped to next to nothing. If publishers are indeed unwilling to move on the cost price of games, it seems like a rather short-sighted move on their part, especially for those who are trying to encourage people to buy new games. It's already more profitable for retailers to sell used games over new ones, and this will the disparity between the two even wider, leaving retailers with very little incentive to push new stock. It seems like it would make more sense to reduce the profit margins on game sales slightly instead of potentially losing the sale altogether because the only way for the retailer to make any money was to sell a pre-owned copy.